Palestinian writer, academic and leader Ahmad Qatamesh was released after two and one-half years in administrative detention, held in Israeli jails without charge or trial. He was taken from his home by Israeli occupation forces on April 21, 2011; he had earlier served 6 years in administrative detention from 1992 to 1998. 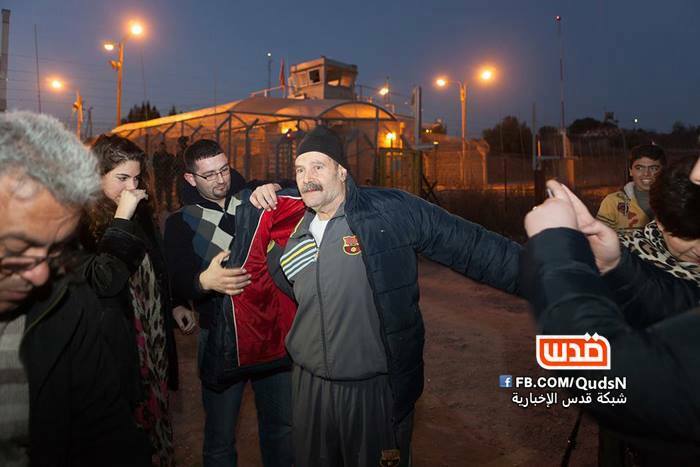 Suha Barghouthi, his wife, spoke to Al-Watan News, saying that Qatamesh is being released on the evening of December 26 at the Salem checkpoint, where his family was informed of the release by Addameer Prisoner Support and Human Rights Association lawyer Mahmoud Hassan. 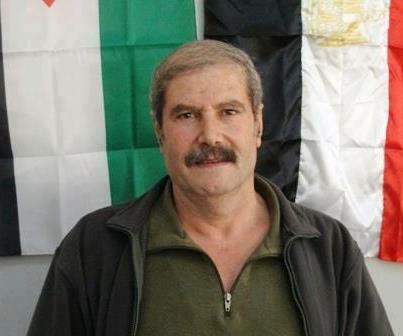 Qatamesh teaches at Al-Quds University in Abu Dis and is a longtime political and social activist, accused by the Israeli state of membership in the Popular Front for the Liberation of Palestine and repeatedly detained without charge or trial as a “threat to the security of the area.” After an extensive legal battle Ofer military court had declared that his current administrative detention period would be the final such order in October 2013. Qatamesh’s book “I will Not Wear Your Tarboosh” recounted his experiences in solitary confinement and under torture during his time in detention in the 1990s. In his current detention, Amnesty International, among many others, consistently called for his release as a prisoner of conscience. Samidoun Palestinian Prisoner Solidarity Network greets and salutes Ahmed Qatamesh upon his release, who has continued the struggle for justice and liberation for the Palestinian people inside and outside prisons for decades and has faced severe repression for his clear voice of advocacy. Like Samer Issawi, released on December 23 after securing victory in a legendary hunger strike, Qatamesh is a clear and heroic voice of dignity, justice, steadfastness and commitment to Palestinian rights.